A new 3D imaging system that instantly calculates the dimensions of boxes, polybags, and irregular shaped packages and interfaces with most shipping scales for use in small business settings and warehouses is being introduced by Alliance Scale, Inc. of Canton, Massachusetts. The Alliance/Rice Lake iDimension 3D Imaging System captures, photographs and calculates the dimensions of boxes, polybags, flats, and irregular shaped packages in 0.2 seconds with 0.25” of accuracy. 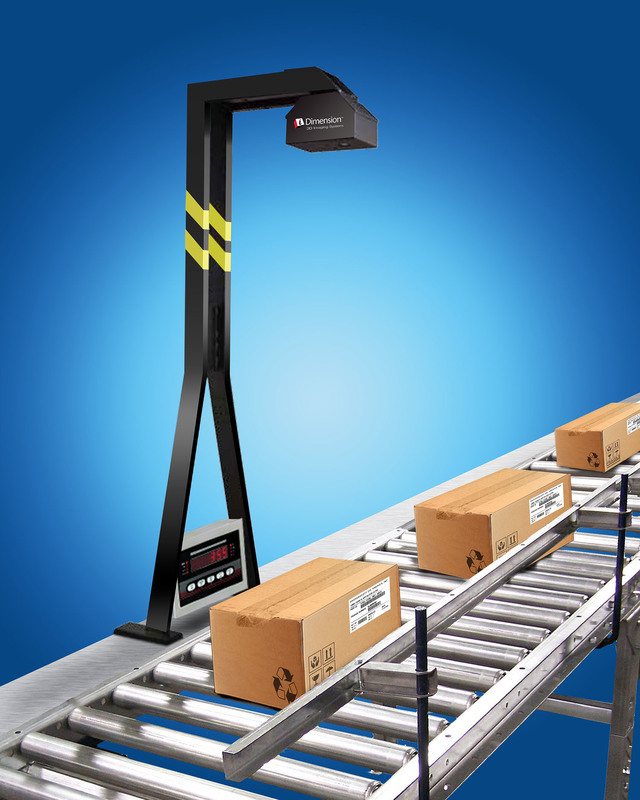 Ideally suited for small business settings and warehouses, this 3D imager provides L x W x H and an image of the scanned item and integrates with most shipping scales to attach weight to the displayed data. Capable of converting cylinders, spheres, tubes and other irregular shaped objects to accurate cubed dimensions, the Alliance/Rice Lake iDimension 3D Imaging System has automatic and manual operating modes and no moving parts. Designed for operation from any PC or tablet connected to the network, it is equipped with a high resolution camera and can be used with OCR and ICR software and supports a wide range of bar codes. The Alliance/Rice Lake iDimension 3D Imaging System is priced from $18,445.